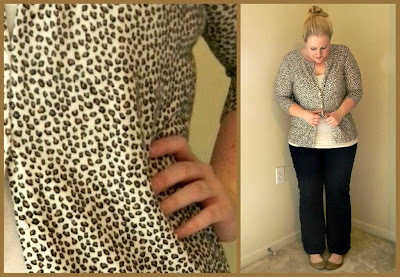 Today's Wednesday Wardrobe is an Outfit Of The Day post x2 about MY fashion staples. Everyone has staples in their wardrobe. Whether they swear by jeans, boyfriend tees, stilettos or even blazers...everyone has something that they "go to" when it comes to fashion. For me? 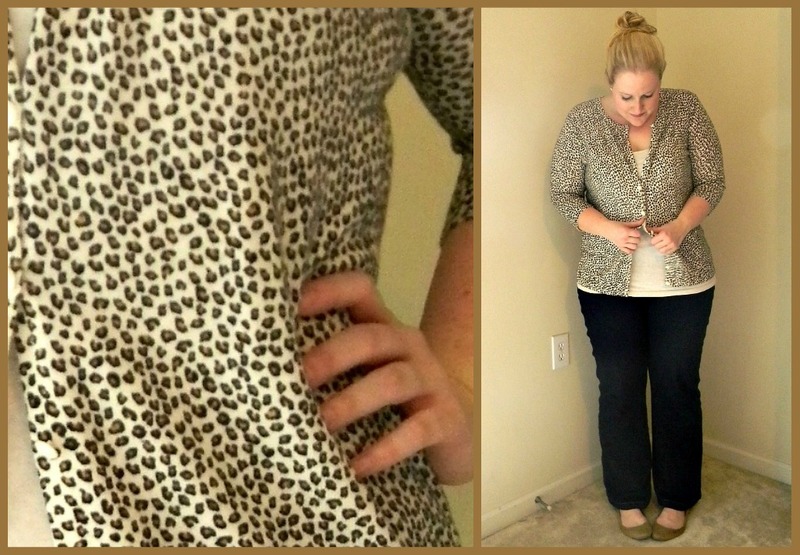 Cardigans and ballet flats. I can't help it. I'm way obsessed with these two wardrobe staples and probably wear one or both of these 6 out of 7 days of the week. Today's outfits incorporate both of them. For the record, this outfit also incorporates 2 more things that I'm into currently: pajama jeans and scarves...but neither of these are quite up to being called "staples". Here's another example of an outfit that includes my fashion staples. Now, how about you? Do you have fashion staples? Capri pants. I wear them year round - with flats for spring and fall, with sandals in the summer, and tucked into tall boots in the winter. 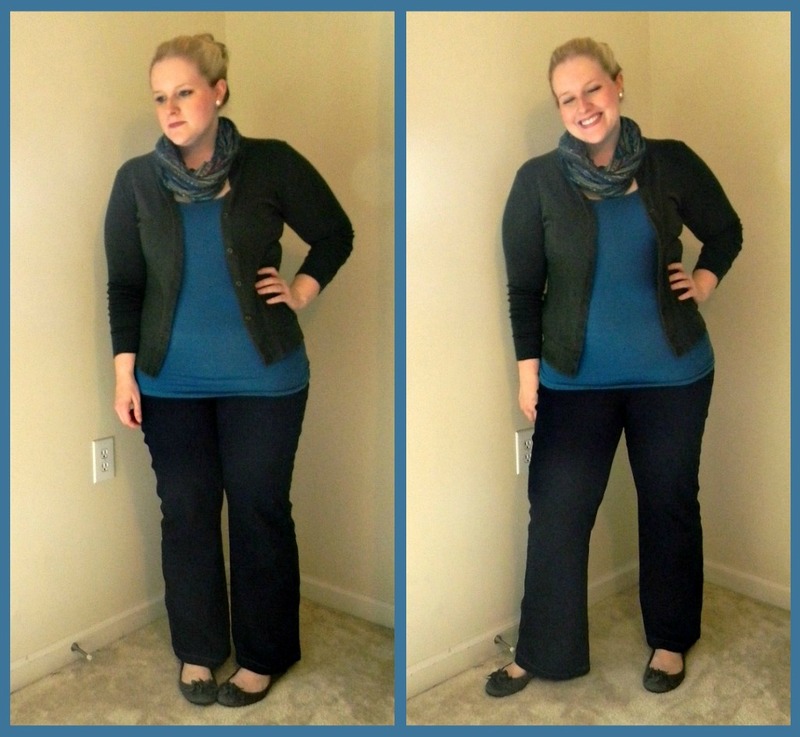 Skinny jeans + tall boots +sweater + fabulous scarf = ready for anything the day might bring! I ALLLLLLLLLLLLLMOST wore mine to work today. i wear a cami tank top under my clothes every, single, day. love that it lengthens my tops. makes me feel more comfortable. A cardigan and flats make life so comfy. Also, scarves are DEFINITELY a staple for me. Kim, I wear a cami tank every day too. I have a favorite style from Old Navy that I stock up on. I love the extra coverage and the smoothing under other tops.